The Silicon Valley Young Democrats voted to elect Angel Martinez as their new Political Director on February 19, 2018. He joins the executive board after outgoing political director, Matt Savage, announced his resignation at our annual holiday party in December. Born and raised in San José, Angel Martinez has always been an individual who puts community first. After graduating from Abraham Lincoln High School, Angel left San José to attend the University of California Davis where he earning a bachelors in Community and Regional Development with an emphasis in Public Policy. 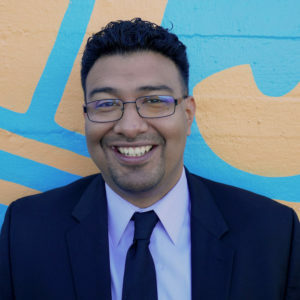 His previous experiences include working for the Public Interest Research Group as a Community Outreach Director in Sacramento, Senior Campaign Coordinator on the Berryessa Snow Mountain National Monument campaign, a Community Organizer for Innovate Public Schools and most recent, as a Community Relations Aide in the office of San José Councilmember Raul Peralez. Angel is fluent in both English and Spanish, and brings more than 7 years of experience working with local communities. Let’s welcome Angel as he steps into his new role as Political Director for the SVYD!